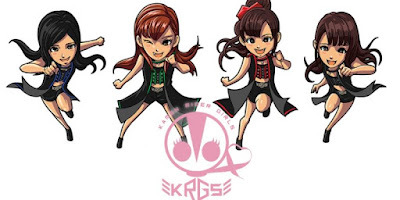 It was announced that everybody's favorite spunky group of girls who suit up as our favorite Kamen Riders will be celebrating their 7th anniversary this month! The celebration will take place on Friday, April 20th, 7pm at the LOFT in Shinjuku. The current members who will be performing at the event will be Hitomi Isaka (Kamen Rider OOO), Chisato Akita (Kamen Rider Wizard), Tomomi Jiena Sumi (Kamen Rider Gaim) and Ayako Kuroda (Kamen Rider Ghost). Here's to another successful and energetic year to the Kamen Rider Girls!